Filmed over 15 years, Spectacle's new documentary follows the grassroots campaigns of Battersea Power Station Community Group to preserve the building for the public good. It takes us straight to the heart of the current conservation debate about whether - and how - historic buildings should be preserved, governed, modified or replaced, and 'who' they belong to. 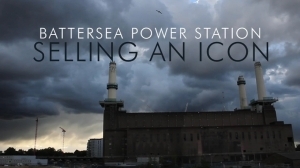 Battersea Power Station: Selling an Icon is unique in raising awareness to the plight of historic building preservation in an age of aggressive 'big business' redevelopment and gives voice to the local communities, rarely consulted and often overlooked.